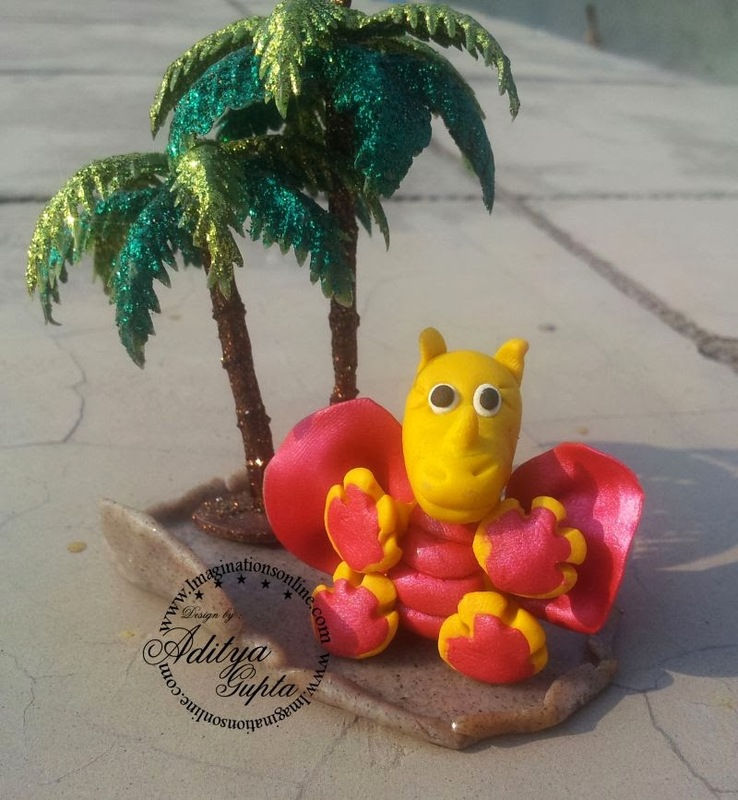 Recently I tried polymer clay and believe me its great. The only drawback is its baking but if done properly then the results are outstanding. 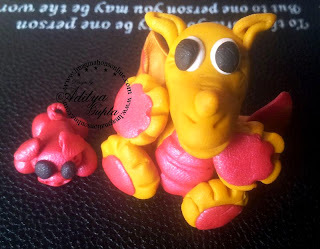 Even a novice like me had made one cane, one mini piglet and 2 cute dragons in just 2 days of learning and making time. If you want to make this dragon then follow the simple tutorial and you can make one within 2 hours. I have created mine around 2 inch in height. 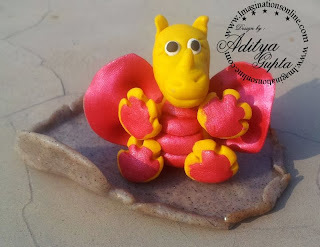 This is my first polymer clay sculpture, I used dark yellow and metallic pink clay for the body. White and black polymer clay for eyes. It took me around 1 hour in making and 1 hour in baking time. The piglet was a quickie made with the remaining pink clay. I baked the piglet only for around 20 minutes. 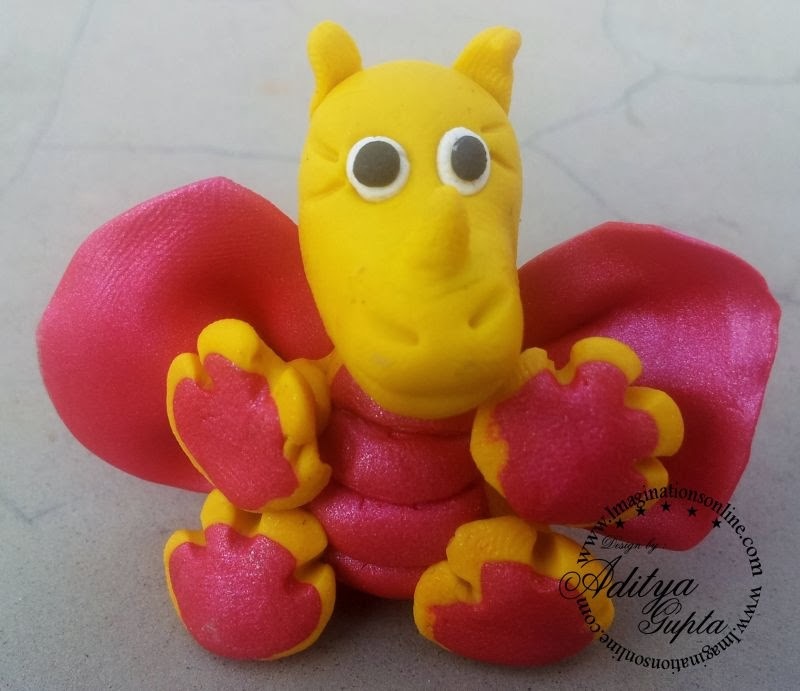 This dragon I made today, I also created a base with polymer clay also. The tree is just decorating element. This time I made better eyes and also gave some finishing effects which can't be shown in pics. Another pic of the dragon. Closeup of my cute Dragon. I am extremely happy with the result since it is only my second attempt with polymer clay. I used Premo Polymer Clay for making this items. And my baking temperature was 130 degree centigrade. 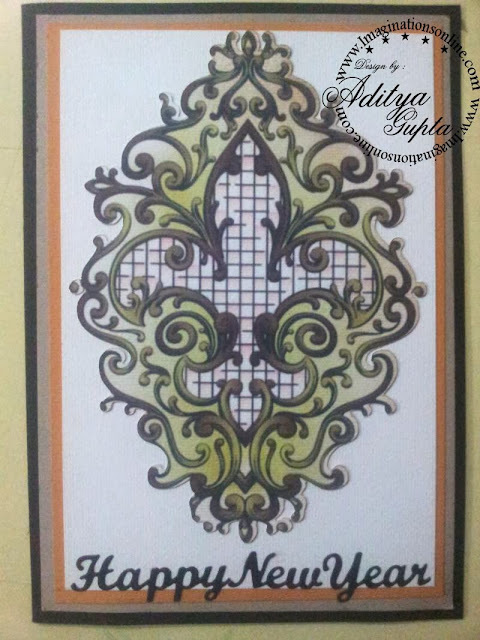 If you are working with polymer clay then do remember to follow the directions of manufacturer. Never exceed the manufacturer's temperature and don't overburn your clay, you will not like the result and smell.